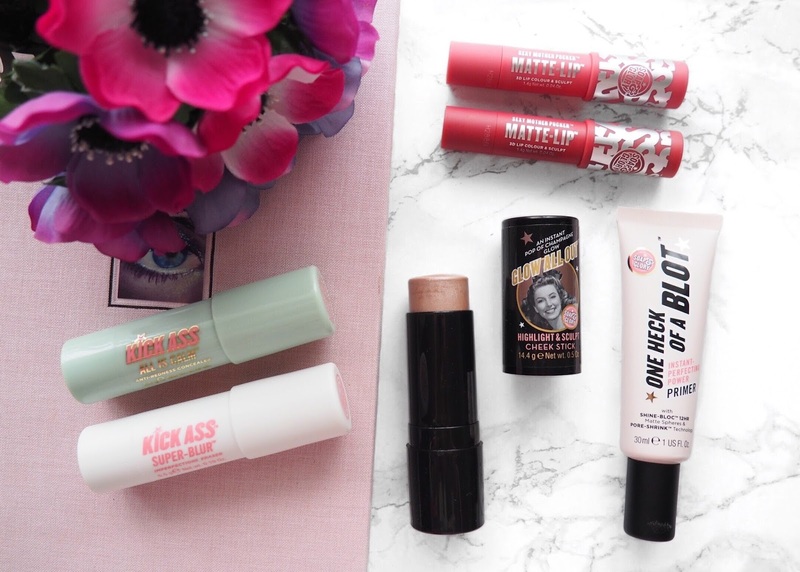 When it comes to drugstore brands, Soap & Glory are certainly one of my favourites. 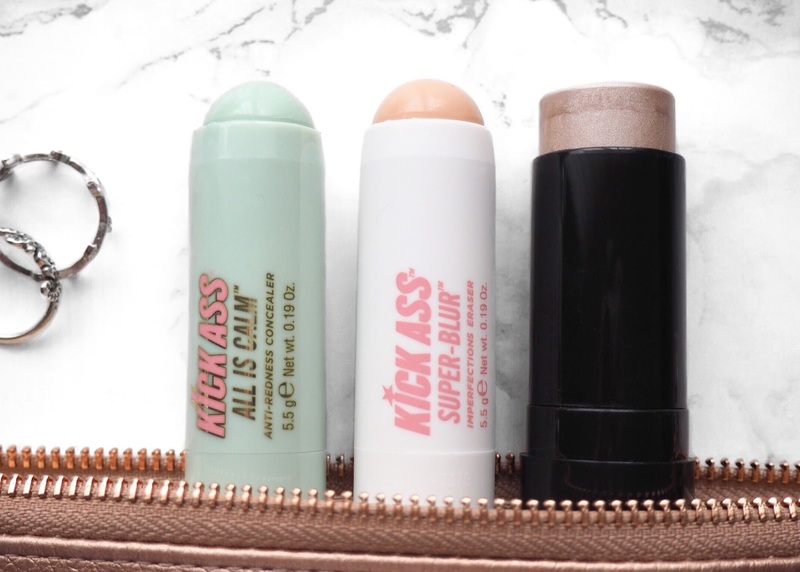 Not only do their products come in the cutest packing possible, the products I’ve tried I’ve loved and some are even staples in my everyday makeup routine. When I saw the release of all their new products I couldn’t wait to give them a try, and when I saw they were all on offer on the Boots website I went a bit online shopping crazy and decided to buy myself and my mum some of the new releases. Today I wanted to share my thoughts on them so far. Starting off with what I think is certainly the stand out product in this collection of products, in fact I’d go as far as to say these have become one of my favourite lip products – and coming from someone who owns well over 100 different lip products that’s really saying something! 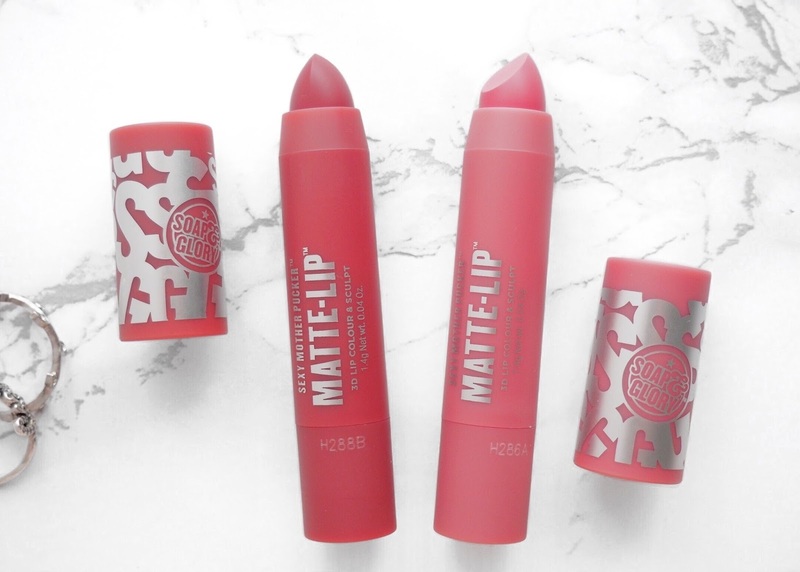 At first I was a bit worried about the fact they’re matte (me and matte lipstick don’t tend to get on very well) but Soap & Glory have created a matte yet comfortable long lasting formula that I’ve fallen head over heels for. They come in 5 different colours covering easy to wear colours up to more brighter shades that will be perfect for the upcoming Spring and Summer time. The two colours I went for are Choccoberry and Pretty Muted, both of which are beautiful shades with Pretty Muted being my favourite out the two, so far I’ve worn it everyday this week. I saw all the other shades on the Soap & Glory stand yesterday and they’re beautiful, I had a little swatch but the colours I wanted had sold out, I’ll certainly be keeping my eyes peeled for them to come back in stock! The only thing I do have to say about these is the size, they are a lot smaller than the average crayon style product but for that reason they’re only £3.50 which I think is an absolute bargain for a product this nice. The fact they’re smaller means it’s a lot easier to apply evenly and the fact they have a flat pointed side means you can apply them precisely without needing lip liner. This again is another stand out product I’ve been absolutely loving! The drugstore seriously slacks in good quality colour correcting products so Soap & Glory have really filled the gap with this concealer. Green concealers are used to cancel out the redness in the skin, to colour correct you basically use the colour opposite on the colour wheel to cancel it out (I’ll get round to sharing a more detailed post on it soon). This one does a really good job at helping to correct and conceal those dreaded red areas without being too overly pigmented that you end up looking like Shrek! As it’s in a stick form you do have to be careful when applying it directly onto the skin as it can be easy to spread germs and bacteria around the face especially if you have any open blemishes, but this can be easily avoided by using a brush to apply it. As I’m using it to cover my dreaded acne scarring that isn’t active or open, I apply it straight from the stick onto my skin. This for me is the one product that I’m 50/50 upon my first impression. The fact it had blur in the name really sold it to me, so I was expecting big things from this. Whilst it did give a subtle blurred effect to my pores, I found the makeup I applied on top didn’t last as long as it normally would, and did separate throughout the day. Obviously I’ve only worn it once so far so I’m going to see how it works with other foundations. Maybe it works best alone on “no makeup days” when you still want something to smooth certain areas. I did also buy my mum one of these and she really likes it, on days she doesn’t have time for makeup she just pops some of this on and she’s ready to go. Once I’ve tried it some more I’ll let you guys know in a more detailed review, hopefully I’ll find a way to make this work for me as I love the idea of the product. Highlighting sticks have become a new addiction of mine lately so this product has come into my life just at right time! I like to apply a stick/cream highlighter to the high points of my face before applying my foundation as I find it just gives such a beautiful glow from within look. By applying it under foundation, the foundation is going to make the highlight less obvious and more on the natural side by dulling it down. On days I want even more glow I’ll simply apply some more after doing the rest of makeup. The only negative (basically the only fault I could find if I had to be picky) was with the packaging, the lid is on the loose side so if you’re taking this out and about just be careful it doesn’t come off but this can easily be avoided by just being careful with it. At first I thought it might have just been mine but I have heard a few other bloggers say the same. Whilst this isn’t exactly a new release, I’ve heard so many great things about it so when I was on a bit of a Soap & Glory splurge I thought I might as well give this a try! I’ve used it a few times now and I’m so impressed! 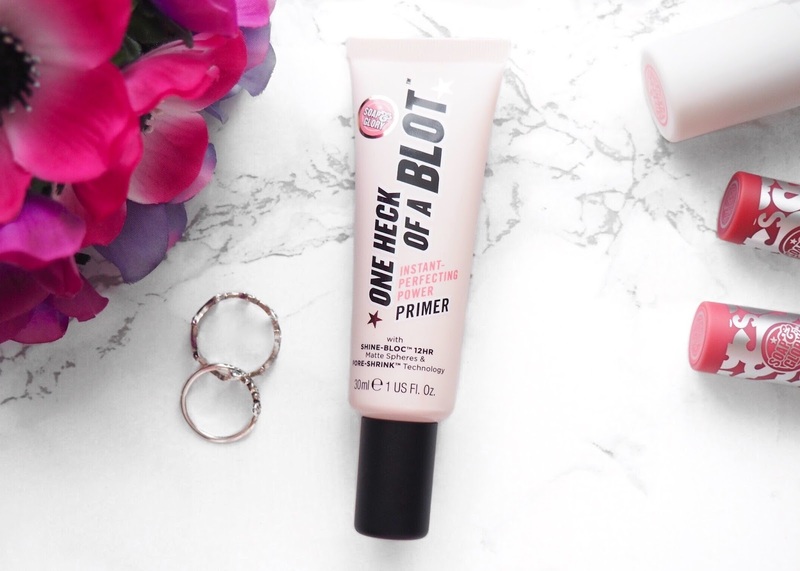 Having combination skin means I need a mattifying primer that’s not too dry that it emphasises my dry areas and this primer certainly ticks those boxes. It certainly does help to keep my oily areas under control as well as helping my makeup last, I’ve also found my foundations apply so much nicer over the top of this, so far it’s a 10/10 from me! So those are all the new Soap & Glory items I’ve picked up recently. I’m really impressed with most of the products and I certainly can’t wait to try some more! After I’ve given them all more of a try I’ll get round to sharing more detailed reviews on each of the products. Have you tried anything from Soap & Glory before, if so what’s your favourite product?